Welcome to the fifty-sixth stoat snippet! If you are new to these snippets and want to know more about the project, check out this blog. Ange and Macca were back out on Shapinsay over the weekend doing a final double check of some parts (see track map below). They had some nice wildlife sightings including two otters and some geese. And encountered a lot of rodents. The photo below is Macca checking rat and rabbit holes. They didn’t find any signs of stoats and there haven’t been any new sightings, however Ange is still concerned that there might be a stoat on the island or that one might arrive at any time. Therefore, the network of traps will remain in place for biosecurity and monitoring purposes. Please let us know immediately if you think you see a stoat on Shapinsay. Ange has now had time to reassess all the information to write her final report too. And while there is no concrete evidence that stoats are present on Hoy, the combination of potential prey items that we mentioned last week and a slight indication of a stoat scent by Macca in South Walls give us concerns that we might have a few individual animals on Hoy. 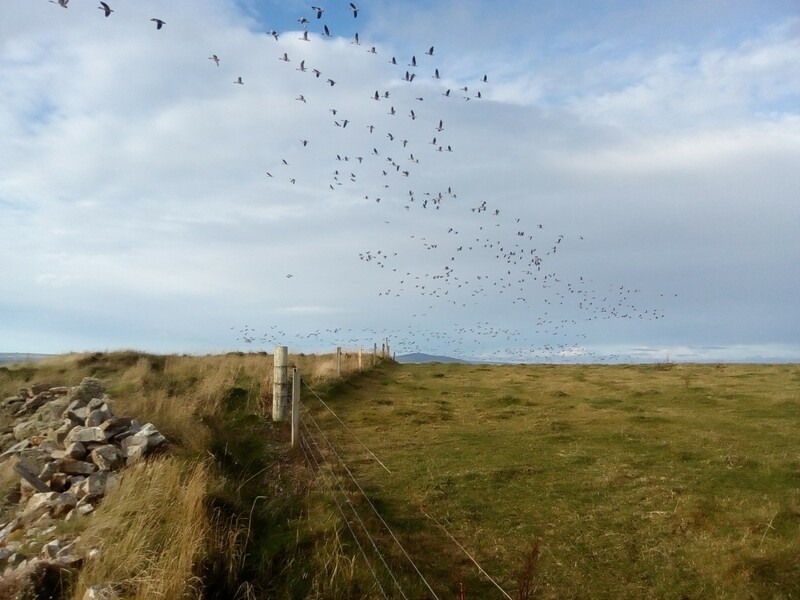 We have responded to the findings from Ange and Macca by deploying an additional 60 traps along the coast and road network on South Walls, supplementing the ones already there and that are across Hoy. 34 traps were put out by the team (Rebecca, Carmen, Heather and Marina) yesterday, and the rest will be out by the end of next week. These will be checked regularly by the team, so expect to see them out and about the island on a more regular basis. We will be contacting landowners to confirm the precise locations of the traps on their land once the network is complete. However, if you have any questions, please get in touch. These traps should help us confirm if stoats are present, but will also form a key part of the biosecurity trap network we are getting in place across all the high-risk islands. This network is designed to prevent the spread of stoats, but also to provide a way of monitoring and an early alarm system for if stoats reach any of these islands. Graemsay is one of the islands included in the network and Heather and Marina deployed 25 traps on Tuesday with the help of local residents. While on the island, they were delighted to spot an otter, but also took this photo which shows just how close Hoy (left), Mainland (right) and Graemsay are and therefore why we are so concerned that Graemsay makes the perfect stepping stone island to help stoats spread. The fourth check of the trapping trial is underway and Rebecca and Carmen will complete the checks today. Rebecca had a lovely encounter with a flock of 200 redwings earlier today in Grimbister, so that made the slog to complete the checks much more pleasurable. We will have a full update on how many stoats we have caught and using which traps and baits next week. 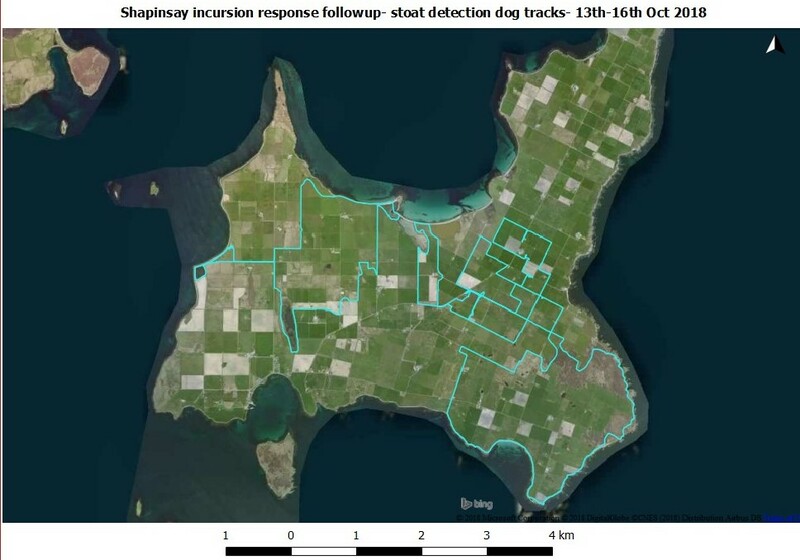 We are still looking to gather land access permissions to allow trapping and use of stoat detection dogs during the future planned eradication. So, if you own land in Orkney, even if it’s just your garden, and we haven’t spoken to you, please email us at ONWP.landaccess@gmail.com. The October check of the Biosecurity traps are underway. 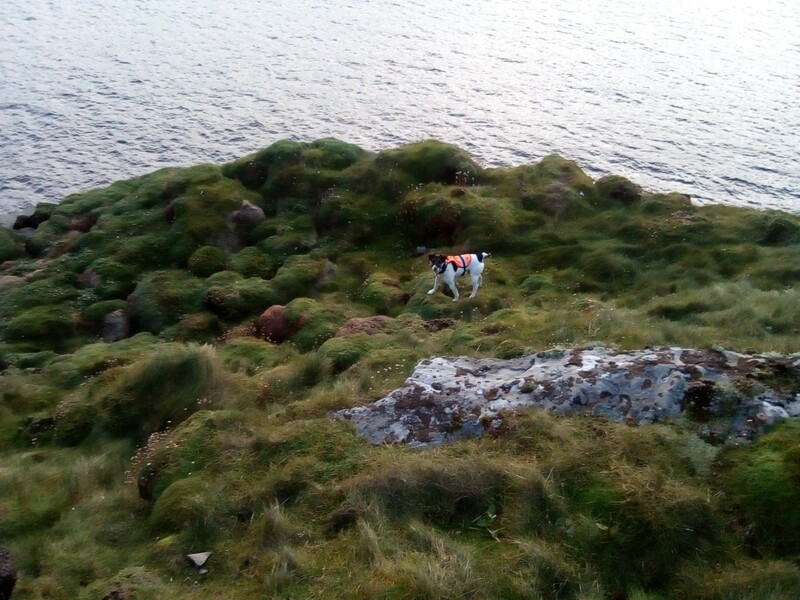 Bea checked the traps in the Stromness area on Tuesday with help from the RSPB Scotland field teacher, Lindsey, who was keen to see what was involved. They found six stoats in the 23 traps, four of which were in the double set 150s. We are hoping the small adaptations we have been making during trap maintenance are helping make these traps more effective. Carmen and Rebecca will be checking the traps in Orphir tomorrow, while Marina will be doing the ones in the Rendall area. The remaining traps will be checked next week. We also still have a few traps to rearrange a few of the traps to create the two lines of defence and we will continue to make tweaks to make this line of defence as robust as possible to try to prevent stoats moving from the mainland to other islands. Shapinsay: Marina was on Shapinsay today doing the latest round of the trap and camera checks. No stoats were caught in the traps and the camera footage has shown no sightings. 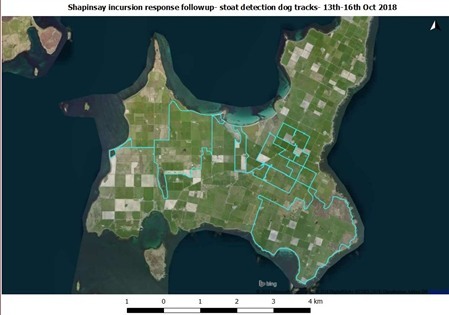 Following Ange’s recommendations after she found no signs of stoats in the areas she checked, we will be reducing the frequency of trap checks to monthly and creating a biosecurity network of traps around the southern coast. However, it is critical that people keep an eye out as a stoat could arrive at any time. Hoy: Heather will be back to check the traps and cameras in Hoy next week. As mentioned above, following Ange’s recommendations, we are putting out additional traps in South Walls to increase our incursion response there. The team will be out next week to put the rest in place. It great to see the project going ahead. I wish you all the best of luck.